You've just finished unpacking and it turns out that the dress you wanted to wear is all creased. You start looking for an iron in the room and, to your horror, there isn't one. Don't panic though, as we have a simple fix for this problem: hang items of clothing on the shower curtain rail with the shower head facing away from them. Once it's turned on, the steam from the shower will remove any creases from the clothing. Just be sure to keep water from splashing on the clothes! If you're finding the air in the hotel room unbearably dry, place a damp towel next to the air-conditioning system. Now you have your very own home humidifier! Use the shower caps provided by the hotel for free to separate your clothes from your shoes when they're in the suitcase. If you miss the taste of home, stay at hotels where pots and pans are provided. Just think of the money you'll save, too! Place a rolled up towel along the bottom of the door to prevent any noise and light from entering the room. Turn the ironing board into a makeshift table where your children can eat. Use strips of tape to create streets for toy cars on the carpet or board games. Use the clips on a clothes hanger to close up any gaps between the drapes. You can then enjoy total darkness when you're in need of a siesta. When time is tight, you can use the coffee machine to prepare instant meals such as Asian noodles and oatmeal. If you've forgotten your charger plug or the country you've traveled to uses a different type of plug, there's no need to worry. Most modern hotel TVs have a USB slot that can be used as a charger, so you can browse and snap away with a full battery. If you're traveling with babies, you can turn your bedroom desk into a makeshift diaper changing table. Use the plastic bags provided by the hotel for laundry to throw away your baby's dirty diapers. Put baby wipes in your luggage or in dirty diaper bags to get rid of any lingering smells. 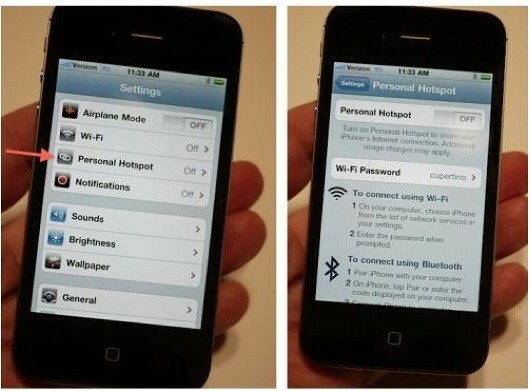 If the hotel charges you to use the internet, you can share the internet on your cellphone by creating a personal hotspot. Use a clothing clip from your luggage to keep your toothbrush elevated. This will keep the toothbrush away from dirt and bugs. 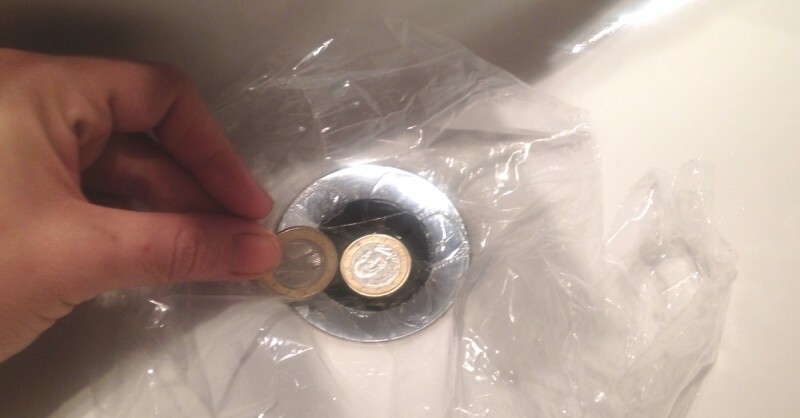 Use coins and plastic wrap to create a plug. You can then do your washing in the sink. So there you have it — these tricks will make any hotel room a home away from home. Just be sure not to work too hard when you're supposed to be relaxing!